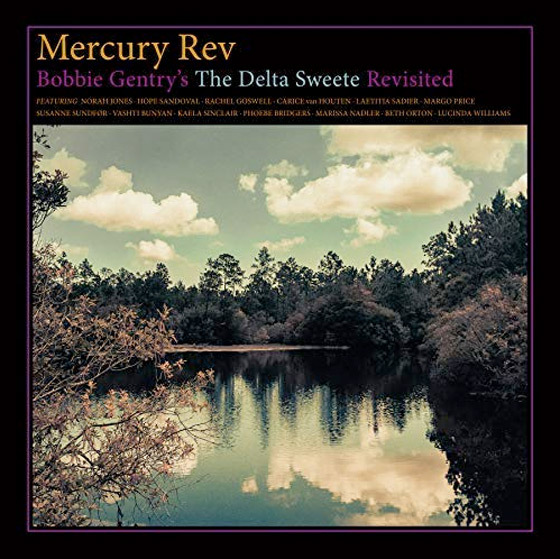 Mercury Rev have announced they are returning with a new album, presenting their entire guest-loaded reinterpretation of Bobbie Gentry's 1968 LP The Delta Sweete. And the guest list on Mercury Rev's record is impressive, to say the least, with the group roping in the likes of Margo Price, Mazzy Star's Hope Sandoval, Vashti Bunyan, Lucinda Williams, Phoebe Bridgers, Norah Jones, Slowdive's Rachel Goswell and Stereolab's Lætitia Sadier. The album is titled The Delta Sweete Revisited, and it will arrive on February 8 via Partisan/Bella Union. As Mercury Rev recreate Gentry's entire album, each song features a different guest singer. In addition to those mentioned above, the record also includes Beth Orton, Marissa Nadler, M83's Kaela Sinclair, Susanne Sundfør and Carice van Houten. Bobbie Gentry is one of the greatest writers and performers of our time. She was the definition of country funk and southern soul. Her songs were well crafted, literary masterpieces. Bobbie produced so much of her own work that she didn't get credit for. Her influence on my music has been massive and her influence on the music world in general is earth shattering. Bobbie is iconic, original, eloquent and timeless. She is an elusive wonder in a world of plain spoken, worn out cliques. She has remained a strong voice and an eternal spirit of the delta, wrapped in mystery, yet forever here. For a glimpse of what's in store, Mercury Rev have shared the track "Sermon," which features Margo Price on vocals. You can check out the song below, where you'll also find the album's tracklist and full list of guests. Mercury Rev's last studio album remains 2015's The Light in You.